Ben Stokes has been included in the English test cricket squad for the upcoming test series in New Zealand, scheduled for March / April. 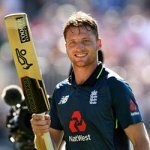 Stokes recently made the headlines after he was accused of having been involved in a street fight outside of a night club in Bristol in September. Stokes hasn’t completely managed to shake the unsavoury incident from his boots. His inclusion is on condition that he isn’t charged for his involvement in the fight. Besides for the inclusion of Stokes, the rest of the squad set to travel to New Zealand has largely remained unchanged from that of the Ashes Series. Batsmen James Vince and Mark Stoneman have been included in the squad despite their dismal failure to secure even a single match victory during the Ashes Series. Gary Ballance, Jake Ball and Tom Curran did however miss selection this time round. Apart from that, no major lots of earth was moved. The selection and announcement process took longer than usual due to Joe Root having been taken ill as the result of a viral infection. 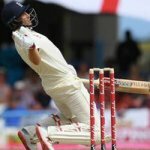 Balance did not play in the Ashes Series at all, and Ball only participated in the initial first test. As for Curran, he was only included in the squad at a very late stage. James Vince and Mark Stoneman hold no illusions as to what is expected from them from coach Trevor Bayliss. They did not exactly woo or wow the crowds during the Ashes Series and they will most certainly have to bring the goods to the market if they are to remain in the team for the long haul. The good coach is bound to expect an immediate return on his good-natured show of faith in the two men. 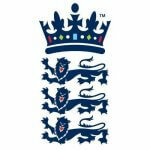 England will be playing in two warm-up matches in Hamilton before their winter schedule ultimately draws to a final close. 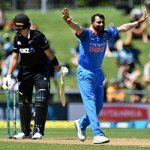 Tests will be played in Auckland and Christchurch, on March 22nd and March 30th, respectively. In the meantime, Stokes is waiting around with bated breath as he awaits the outcome of the charges brought against him for the Bristol incident. This must feel all too familiar to Stokes at this stage as this had been the case with the past three squad selection announcements. If Stokes were to be charged by the Crown Prosecution Service, he will end up forfeiting his place in the squad headed for New Zealand.